If anyone finds out how much it actually goes for, please post - that could be a fantastic place in the right hands. KC metro real estate maybe hotter than before economy tanked end of last decade. Supply of new/existing homes is below 4 months. I don't recall being that low before economy tanked. Is good news for sellers and should pickup pace for more development and refurbing older homes. Home values going up. The July inventory represented a 3.8-month supply of new and existing homes, which breaks down into a 3.7-month supply of existing homes and a 5.1-month supply of new homes. All those numbers represent a seller's market. According to KCRAR, when the housing supply exceeds six months, it's considered a buyer's market; less than six months is seen as favoring sellers. 3823 Wyandotte has been renovated, and is for sale. 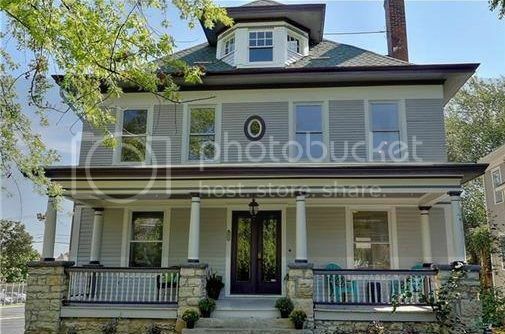 FangKC wrote: 3823 Wyandotte has been renovated, and is for sale. My wife and I walk by this house every day, it's amazing the transformation that it's gone through. Edit: Looks like they decided to keep the garage in back. I heard that they had planned to knock it down for some reason but it looks like they realized that having a garage is actually a nice amenity. In many neighborhoods where car theft is among the top crime concerns, having a garage--where the car can be more secure--is a huge advantage. It's not only car theft. My cousin has had windows broken out in her van on two occasions within a year by vandalism at night. On the neighborhood Facebook crime pages, People having their car stolen from their driveway, or on the street, is among the top posts. If you have full coverage on your car, it's less a problem. However, many people only have liability on their vehicle if it's several years old. If you are lower income, having your car stolen is a big deal--especially if your job can't be reached by public transit. Even if you aren't lower income, and can afford to buy a replacement vehicle, it's an expensive loss. In most situations, a car theft is the most expensive personal property loss they experience. Thieves rarely make off with the same value of goods from a home break-in as they would with a car theft, where the vehicle is uninsured--unless they have expensive jewelry or art. Most home break-ins are losses of home electronics, cellphones, cash, or credit cards--quick grabs that the burglar can carry off quickly. Many people don't realize that older model vehicles -- often uninsured -- are often the most stolen since demand for their parts is high. They are also less likely to have alarms and theft-tracking devices in them. One of the reasons I bought my house over others I looked at is because it had a secure garage. It's also nice not to have to scrap ice off windows in the winter, or worry about hail storms. Exactly, also a lot of these older garages (like the one in the above listing) are built on the property line and would be impossible without a variance to build today. I can't remember what it is now, but I think you need 5 ft on each side of the property line for a detached garage now. At our house, that would basically mean we wouldn't have a back yard anymore. Our garage is essentially the property line marker/fence for a couple neighbors. I was told my auto insurance rates would double when I asked about renters insurance rates. Auto insurance rates very a lot by zip code, and some neighborhoods are more high risk for vehicle theft than others. If you have full coverage, one should always check vehicle insurance rates in the new location before one buys a home, or at least be aware of the possible increase in premium. When I lived downtown, one of the more popular neighborhoods for vehicle theft was Quality Hill. I remember looking up the city crime rates for that neighborhood and car theft dwarfed everything else. I don't know if it still does. When I lived in New York City, a lot of people I knew who had cars in the City, and parents living in the surrounding states, would register and insure their cars at their parents' home (like Connecticut, Long Island, New Jersey, or upstate New York). Premiums were cheaper there than in Manhattan. Many other people who owned second homes outside the City would register and insure their cars at that address. zillow informs me that three janssen place homes are on the market. my favorite on the street sold earlier this year. still, three neighbors on the market at the same time — what a great time to set up a kcrag block, and at such reasonable prices! I was handyman at 66 Janssen for a couple of years in the '70s while I was in college. Nice house, nice carriage house. "of interest" because my understanding is the only units that you can buy here anymore are the ones that were sold back when they were trying to sell them. probably ~ten units in the whole building that could be purchased. I know this thread is focussing on residential listings, but I thought I would post some commercial listings that haven't been discussed on here and could have some good redevelopment possibilities. 3634-3636 Main St - the Cash America Pawn and new Lost Sock buildings, plus the large parking lot to the south is listed for $2.2M. These are some of the properties along the streetcar extension that I would most like to see get redeveloped. Getting rid of a pawn shop and parking lot would be terrific. Lost Sock just moved in and they probably spent some good money and have a long term lease, so I don't know if that portion would be changing any time soon. Speaking of the Lost Sock. Their old location has sold and I have noticed some work happening with the building (which was a bit disappointing, as I would like to see it torn down and redeveloped). Looking through the permits, there were two permits from last year showing that it was to become a Wingstop. However, it looks like that fell through and a permit from a couple weeks ago shows it becoming a tattoo shop. 301-307 E 31st St - The Digital Design Building $600k. Could be a good opportunity to extend Martini Corner westward if this were converted to a bar/restaurant (especially if the Midtown Mattress Outlet building could be redeveloped as well). This is just to the north of the Velvet Freeze proposal. If that ever happens, this could be next in line for redevelopment. 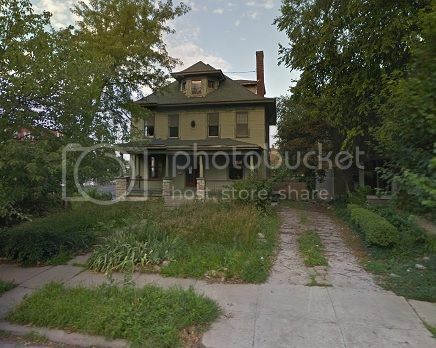 KCtoBrooklyn wrote: I know this thread is focussing on residential listings, but I thought I would post some commercial listings that haven't been discussed on here and could have some good redevelopment possibilities. Loopnet says "sale pending." Hope that means something and not that it's just being transferred to the city or some other group to tear it down. Corrigan House is for sale. Clarence Sondern House is for sale. 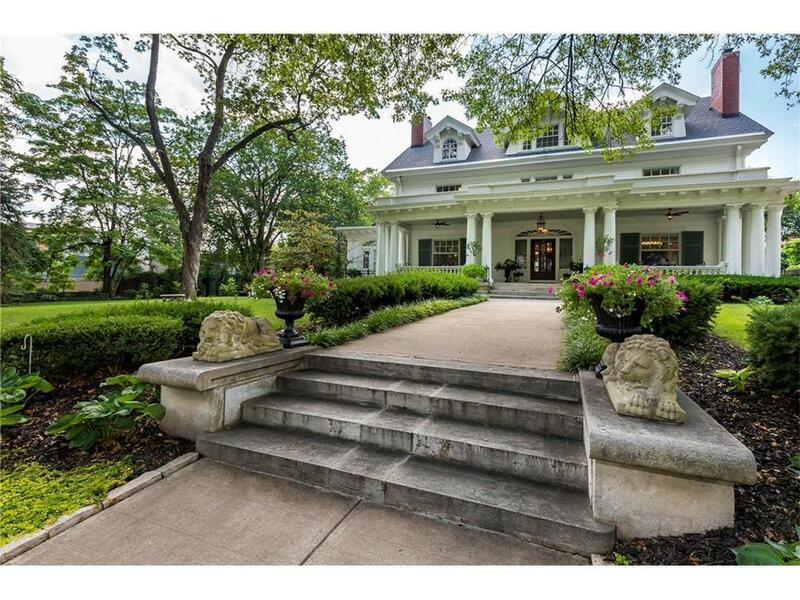 1720 Jefferson is for sale. God, what is wrong with people when they think a house should double in value in less than a year?